Cigarette odors on books can be difficult to remove and make them unappealing to non-smokers. 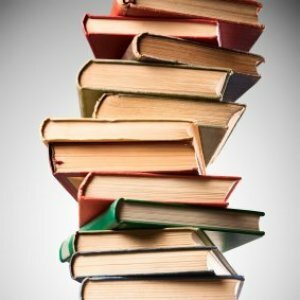 This page has tips about how to get the cigarrette smell out of books. My wife and I buy a lot of used books. The problem is, often the books have been in storage, or in a smoker's home (no offense to any smokers), or in other conditions that have left behind odors. I used to apply Febreze to rid books of these smells, but I've found a much cheaper way. Simply take a sample perfume strip such as are found in many magazines and slip it into the book. Place the book in a sealable storage bag for a day or so. I've found that this will replace odors with the scent of the strip. Of course, use a scent you don't mind smelling! Try putting the book in a zipper-lock bag with either a new, unused fabric softener sheet or with about a teaspoon of fresh, dry, unused coffee grounds. Leave the book in there for at least 8 hours. Good luck! I wanted to share a tip about how to get rid of cigarette odor from books within an hour. No baking soda, no use of charcoal which only mask the cigarette smoke, no waiting for days or weeks to get rid of the smoke. I recently bought a used book online from a heavy smoker. It was really, really stinking like an ash tray, awfully, I could not read it. You can remove the smoke particles from pages by applying heat. This is not without risks, but the risk is minimal. I would not put the book in an oven, this would cause fire, but I used a hairdryer for this purpose. Put the hairdryer on hot position (but not too hot!) in my hairdryer it is the 2nd (or middle) of the three positions. Then direct the hot air from the hairdryer on every single page of the book with smooth equal movements. 5 sec for every page is enough. Do not forget the edges and cover boards. The smoke particles will just diffuse away with the hot air. After this procedure, the pages of the book will be bent because the heat deforms them. Do not panic, they will return to its original form after three or four days. Then there should be not even the slightest cigarette odor noticeable. Smell the top edge of the book to be sure. This is the place where the smoke gathers most. With this method I removed the odor from my book within an hour. It can happen that your hairdryer will overheat and stop working. It happened to me once. But here also do not panic: there is a protection mechanism in every hairdryer to switch it off, when overheated. When it cools down it is again working. I had a chest freezer once. My daughter had accidentally unplugged it and I didn't find it until about 2 weeks later. The whole thing was filled with nasty rotten meat. I cleaned it out, bleached it and used everything under the sun and nothing helped rid the odor of spoiled meat. Finally someone told me the coffee trick. Go to the store and buy the cheapest darkest coffee you can buy. If you don't have a grinder at home grind it at the store on the finest grind, like espresso. Come home and put the coffee in cheap knee high hose and tie them shut. Coffee will remove the smell of all most anything. For books, I place the coffee in the knee high and tie it and the book up in a plastic grocery bag and leave it for about a week. Voila! No more stinky cigarette smells. I sell used books on Amazon and eBay so this is a must! Set the opened books out to air in the sun. A further solution is to place unused dryer sheets among the pages of closed books. I would like help for getting cigarette smell out of hardback books and paperback books? I had the same problem with a large collection of postcards that I had purchased from an estate. What I tried was putting them in a cardboard box that was big enough to allow air space, put in 2 bounce dryer sheets and closed the box up for about a week. I use to smoke and since I've moved 3 years ago my entire bookshelf has been packed away in boxes. I went to take them out and omg. I can't believe what my house must have smelled like. There are 6 large Rubbermaid containers full plus a few boxes. How will I ever get the smell out of my treasured books? Quickest and most effective. Help please! Please tell me how I can get tobacco odors out of hard back books. I too had the task of taking that awful smell off of books and video cases, what I did was to get a pan of warm water with Tide in it , use a cloth that is wrung out fairly dry, wipe the jacket of the books,also stand the book on end so that you can wipe the ends and sides off, You will be amazed at the color of the water After I finished doing that i wiped them dry,"as best I could" and I tore up sheets of Fabric softener putting the part sheets 4-6 in each book. Then putting the books in an airtight bag for a few weeks. after that I aired them out and they were not too bad for smell. I had a real collection of about 50 books that were given me and They were just too valuable to throw out. I do hope this helps. When I buy used books or from the Library I wipe the outside with baby wipes and spray a shot of lysol. Then I spray Lysol as I fan the pages. Lysol dries quickly. Try and keep a 10 inch distance. If you happen to spray closer no big deal. Lysol dries fast. Smells gone! And germs too! How do I remove smoke odors from books? How do you get cigarette smoke smell off of books? Does anyone know how to get the smell of cigarette smoke out of books? A friend just gave me a wonderful cookbook that she bought at a yard sale and it smells so strong that my allergies go wild. It is a small spiral bound book about 1 inch thick. Try wrapping your book in a towel and placing the book in a bag of baking soda or even fresh (of course) cat litter for few days. It works. Cigarette smoke in books? Here's what I do to get rid of it. I take a large ziplock and depending on the severity and size of the books maybe 4 or 5 dryer sheets. I put some of the dryer sheets inside the books in various pages and two just inside the ziplock. Put the book in with the dryer sheets and seal. I check on the book once a week to see if the smoke smell is gone. I leave some of the sheets in the book so it stays dryer fresh. How can you get cigarette smoke smell out of books?